Looking to strengthen your knowledge of Java concurrency and multithreading? If you are a Java developer and looking for some awesome resources, e.g. books and courses, to improve your multithreading and concurrency skills in Java, then you have come to the right place! In the past, I have shared books and tutorials on Java concurrency and multithreading, and in this article, I am going to talk about some of the best free and paid courses to learn multithreading and concurrency. You can join these courses to improve your understanding of Java concurrency and multithreading. It's one of the most important skills for Java developers, as almost all the companies who interview Java developers pay particular attention to his knowledge and experience in this area. If you are aiming for a job with big investment banks like Citibank, Deutsche Bank, or Barclays, or in a service-based company like Infosys, TCS, Luxsoft, and others, you must have a strong command on multithreading and concurrency concepts in Java. 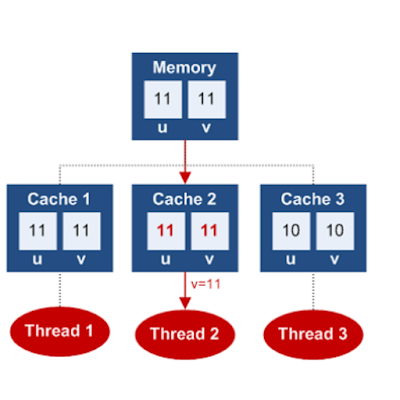 What Are Multithreading and Concurrency? Why Are They Important? 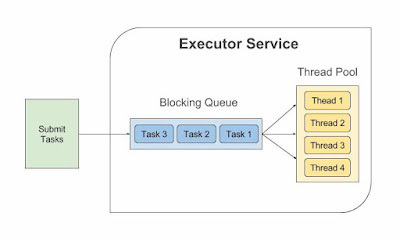 Executing a Java program using multiple threads is commonly known as multithreading. This is generally done to improve throughput and performance of your application, especially if are doing a lot of CPU intensive task. Since CPU is a scarce resource, many programs leave CPU underused. By leveraging multiple threads, you get an option to make full use of CPU and increase the throughput of your Java application. When Java first came into the scene, its ability to execute programs on multiple threads got a lot of attention. The Java programming language has built-in support in terms of its synchronized and volatile keywords for executing programs in multiple threads. Though multithreading is not easy when the same piece of code is executed by multiple threads, a lot of data and control-related issues tend to happen, e.g. deadlock, livelock, race conditions, etc. It's seriously difficult to get the concurrency right the very first time. Hence, a Java developer should have a good understanding of different multithreading and concurrency concepts before writing a multi-threaded and concurrent Java application. These are the skills you generally learn on the job, but nowadays people expect you to know before you come for an interview and that's where these Java courses and books can help you. They provide the much-needed foundation and real-world examples to build the thread fundamentals and other multithreading concepts and terminology. Without any further ado, here is my list of some of the best courses to learn multithreading and concurrency in Java. The list includes both free and paid courses, as well courses for both beginners and experienced Java programmers; even if you have some background in Java, you can use these courses to fill the gaps in your learning and become a master of Java concurrency and multithreading. This is a free course to learn multithreading in Java — you can join it on Udemy, the biggest platform for online courses. This is a nice fundamental course — without being too comprehensive — that tells you everything you need to know in order to read and write concurrent code using Java libraries. 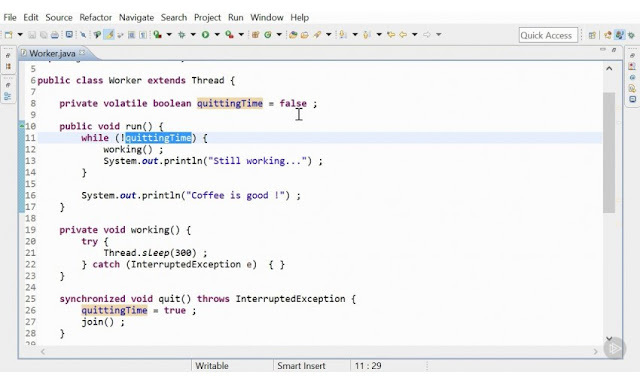 In this course, you will learn how to start and stop threads, basic thread synchronization using the synchronized keyword, locking, thread pools, wait and notify, callable and future, and several other concurrency utilities introduced in Java 5, e.g. CountDownLatch and Semaphores. The course also discusses common concurrency patterns, like Producer-Consumer, and common multithreading problems, like deadLock and how to avoid it while writing code. You will also learn a bit about interrupting threads and using multithreading in Swing with SwingWorker. Overall, this is a great course to start learning Java multithreading, and best of all, it's FREE. This is another awesome Java concurrency and multithreading course from Udemy, but it's not free. It's a normal price at around $200, but you can get it in just $9.99 on several of Udemy's flash sale, which is almost free. The course is exhaustive when compared to the previous course and covers more topics and patterns with some real-life examples. Apart from the basics of multithreading, e.g. threads, lock, synchronization, blocking, etc., you will learn more about concurrent collections, which can simplify concurrency design patterns. For example, it's very easy to implement the Producer-Consumer pattern using the BlockingQueue class as compared to a normal Collection with the wait and notify as shown here. This course discusses CountDowLatch, CyclicBarrier, Blocking Queue, Delay Queue, PriorityQueue, Exchanger, and concurrent maps like ConcurrentHashMap. Apart from Producer-Consumer, this course also explains the Dining Philosopher Problem and demonstrates two simulation projects, i.e. Student Libary Simulation and Minor Game Simulation, which will allow you to apply the knowledge you already learned. The course also covers some advanced concepts like Parallel Algorithm, Fork-Join Frameworks, and the MapReduce pattern. Overall, this is a perfect course for experienced Java developers to augment their knowledge on this topic. This is an excellent course on multithreading and concurrency, particularly for experienced Java developers. In this course, instructor Jose Paumard explains how to write correct multi-threaded code using Java APIs. In this course, you will learn all the threading fundamentals you need to write production-quality, multi-threaded code in Java. You will learn about the problems of concurrent programming on multicore CPU, e.g. deadlock, race conditions, livelock, and data corruption. Next, you will learn how your application reads data from main memory, CPU caches, and how false sharing can cause slower performance. Finally, you will learn about the Java Memory Model and the notion of happens-before, the most important concept from Java programs point of view. In short, this is a fantastic course to fill the gaps in your Java concurrency and multithreading knowledge. You can combine this course along with reading the Java Concurrency in Practice book by Brian Goetz and team to get the best of both worlds! This is another nice course to learn advanced Java multithreading on Udemy. This course particularly focuses on the Executor framework, which was introduced back in Java 5 and takes away the pain and issues of creating and managing threads from the developer. 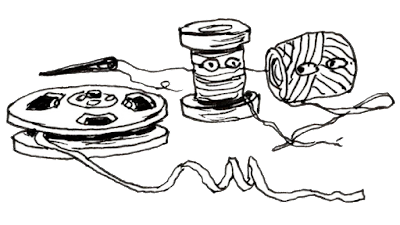 If you have worked in a multi-threaded application before, then you know that creating new threads at the time of request processing can slow you down and that's why it's better to use a pool of thread to process the request. Java solves this problem by introducing the Executor framework in JDK 1.5, which provides the infrastructure and API you need to create and manage a thread pool. Apart from the Executor Framework, you will also learn some of the basics of threading in Java, like naming threads for debugging, terminating threads, and handling the uncaught exception, scheduling task, etc. This is the classic Java concurrency course from a Java Champion and renowned Core Java trainer, Dr. Heinz M. Kabutz. This is one of the most comprehensive and advanced courses on Java Concurrency. It is a must-join for experienced professionals, particularly those who are working in high-performance domains. 3. Extreme Java — Concurrency Performance. The Extreme Java: Concurrency Performance course is loosely based on the classic book by Brian Goetz and company — Java Concurrency in Practice — but brought up to speed for modern constructs from Java 8 and 9, e.g. lambdas, fork-join pool, Phaser, and other advanced constructs. In short, this is an advanced course for Java developers who are serious about concurrency and multithreading skills. On the downside, the course is a bit pricy, but if you compare the quality and the number of things, you are going to learn a lot in this course. That's all for now about some of the best courses for learning multithreading and concurrency in Java. I have included both free and paid courses for your reference; you can choose whatever you'd like. Sometimes starting with a free resource is a good idea, but I would suggest with the course you liked. As you may know, the multithreading and concurrency is a very useful skill and there are a lot of exciting opportunities for developers who understand this better, particularly in large investment banks. If you are looking for your next job, the time and money invested in learning concurrency and multithreading concepts will reap many rewards in the future! Thanks for reading this article! If you like these Java multithreading and concurrency courses, then please share with your friends and colleagues. If you have any questions or feedback, then please drop a note below.